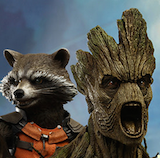 While San Diego Comic Con 2014 has come to a close, we are going to be sharing our coverage in the next few days. I have attended SDCC since the mid 1990's and have seen many changes over these years from seeing mainly comic books to the additions of the movie industry to unique designer toys. I have been a toy collector since the beginning of the original trilogy Star Wars figures from Kenner and collecting anything Star Wars to GI Joe, Masters of the Universe, Teenage Mutant Ninja Turtles, and so much more in the 1980's. The 90's would introduce me to something amazing and toys would never be the same once I saw my first Spawn comic. The Spawn comic would lead me to the newest comic company, Image Comics that would have so many new stories that brought many of my favorite characters. With the success of Spawn, the creator Todd McFarlane would take his new popular character and bring him to the toy world introducing McFarlane Toys. McFarlane Toys would create the most detailed action figures I had ever seen and I would be on the hunt to get them all. McFarlane Toys lines would of course expand and I would say create a new innovation in the toy world to want to improve and have to compete with this independent toy company. The return of the Power of the Force was strong and Star Wars was back, keeping my childhood memories alive. San Diego Comic Con would grow over these years not only being about comic books, but allowing the toy world to come in because of the influence in comic books and toys. In the beginning, there would be Mattel and Hasbro and a few other toy companies. McFarlane Toys would definitely move in strong and there then joined a company called Kidrobot. 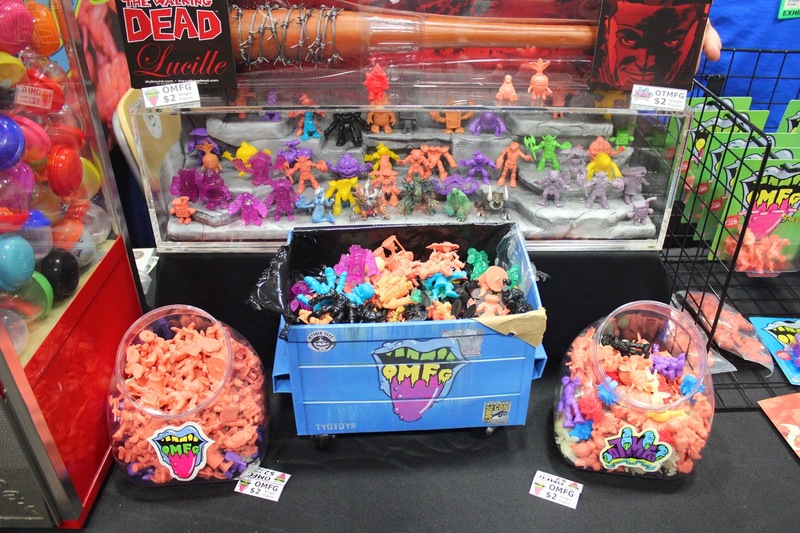 I remember walking by the Kidrobot booth and saying what in the world are these toys, but I was intrigued. 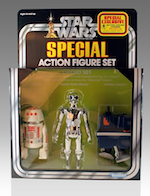 I saw something small become a giant, which led into seeing a new kind of toy and collectible that could change all the time. For myself, Kidrobot would introduce the world of designer toys. I saw those one of a kind works of art for the first time and was amazed what was being created. The popularity of designer toys has grown very strong and has a very big influence in San Diego Comic Con and is well deserved, but I feel that it is still expanding with new styles and techniques. 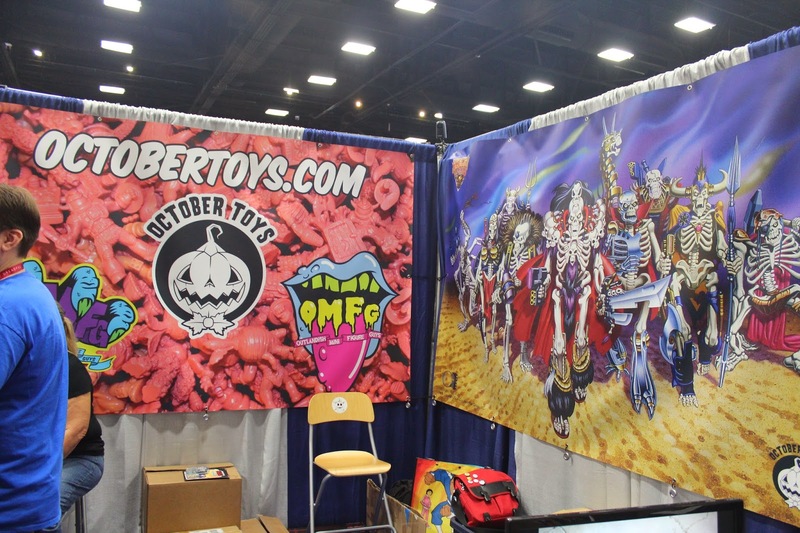 One of our SDCC booth stops would be October Toys. 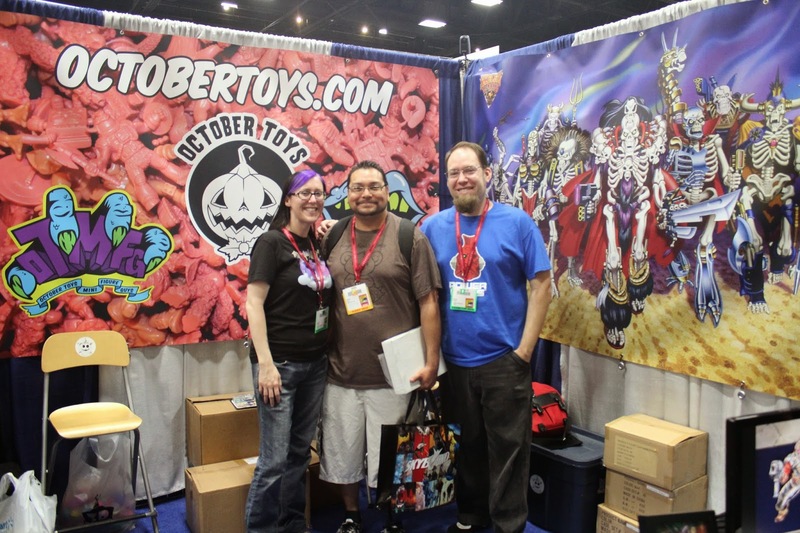 October Toys consists of the team of George Gaspar and Ayleen Gaspar who have a great passion for toys, art, and design. They also have the very popular Toy Break weekly video podcast, which provides great information for the new toys and designs that are out there. The first line of toys that caught our eyes from October Toys was their OMFG series. The OMFG (Outlandish Mini Figure Guys) series. The OMFG series reminds me of those old plastic "Army Men" with a huge artistic twist that brings great artists together to create their own pieces, oh and they are much better than those "Army Men". Where are the Walking Dead fans? 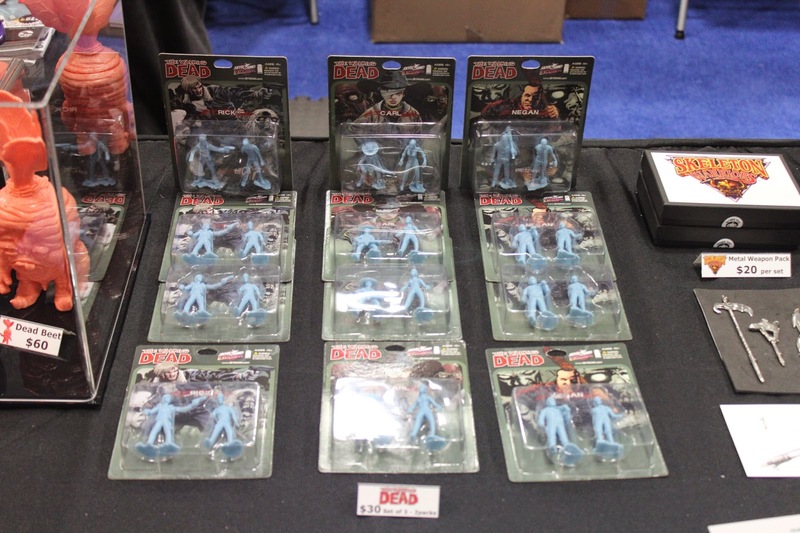 San Diego Comic Con 2014 would be another huge year for the Walking Dead fans and thanks to George Gaspar, he would create a thing of beauty (well, beauty as in awesome)! October Toys would get the opportunity to work with Skybound and Robert Kirkman (creator of The Walking Dead) to create Negan's favorite lady friend, Lucille from the comic book series. If you are not familiar with who Negan is, he makes the Governor look like a young child and he never leaves Lucille alone. Lucille is a baseball bat and Negan adde a few extras to her with some barb wire at the end. Stay tuned, because we will definitely be sharing our review and pictures of the SDCC exclusive Skybound x October Toys Walking Dead Lucille. 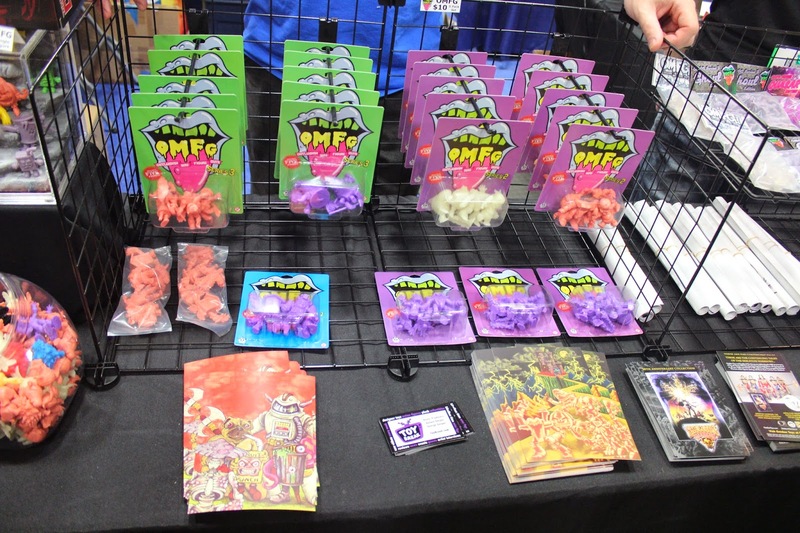 For the past couple of years, October Toys has offered a few SDCC and convention exclusive OMFG colorways. 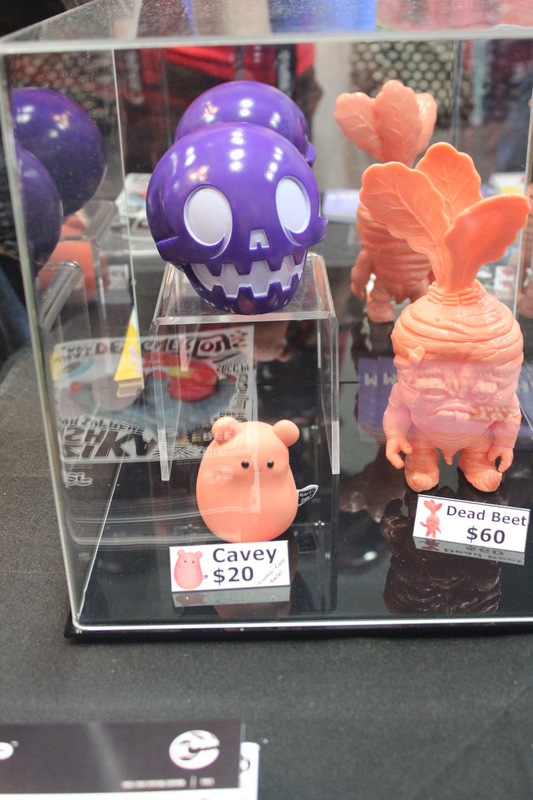 Here were the SDCC Purple Calaverita by the Beast Brothers, Flesh colored Dead Beet designed by Scott Tolleson and sculpted by George Gaspar, and Cavey. 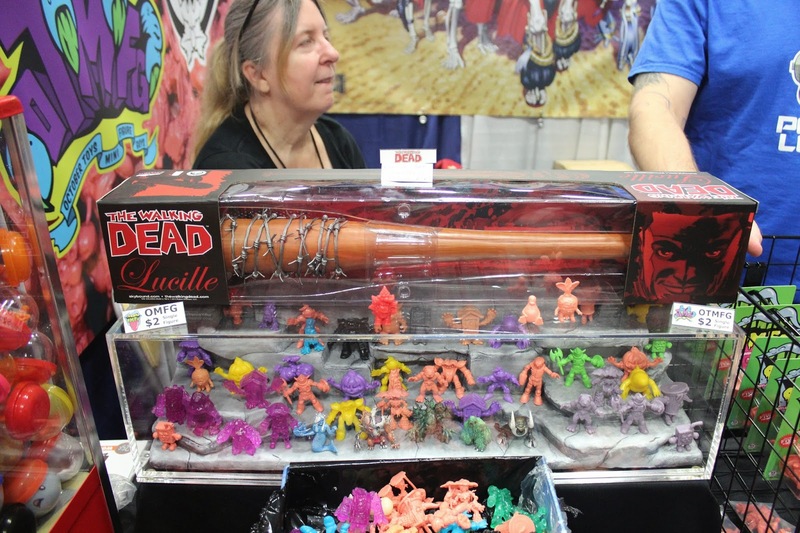 The Walking Dead Lucille bat would not be October Toys first project with Skybound because they have also created the 2" Walking Dead PVC figures, which includes characters Michonne, Rick Grimes, Carl Grimes, Negan, and of course Walkers. Everyone should try to visit the world of designer toys more often when they attend San Diego Comic Con or other conventions. They probably miss out on these amazing projects that are being developed. 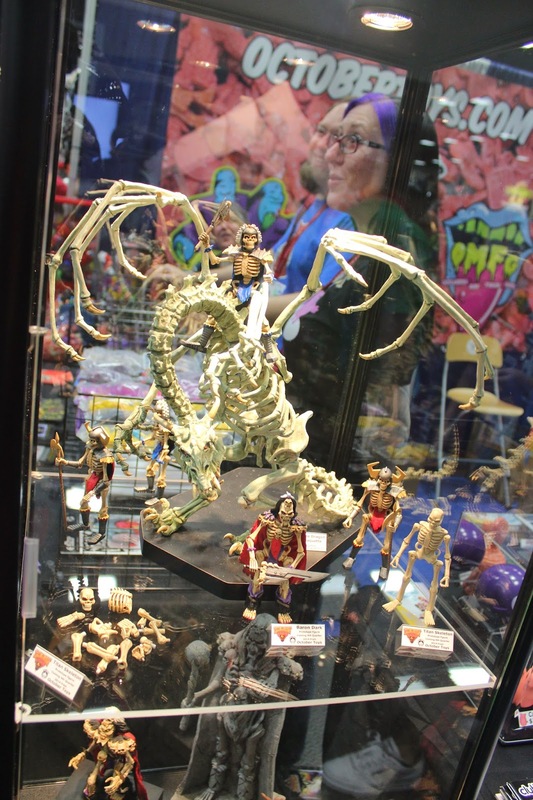 First, there was Super7 who would get the opportunity to bring the original Alien figures to life that never made it to production and now October Toys is bringing back Skeleton Warriors to a reality to bring action figures. 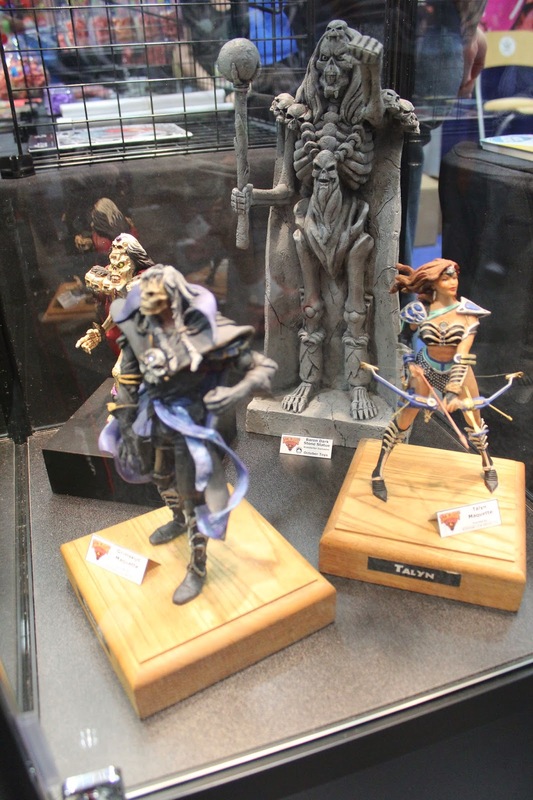 Through a successful Kickstarter, the Skeleton Warriors have become a reality and all I can say is they look terrific. Welcome to the World of Designer Toys! George Gaspar and Ayleen Gaspar of October Toys were terrific to talk to. 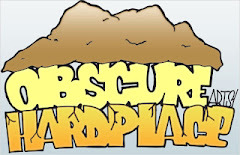 If you have not seen what they have created or have not seen their Toy Break video podcast, you should check them out. They are also part of the team who created the DesignerCon that is held in Pasadena, CA each year in November.